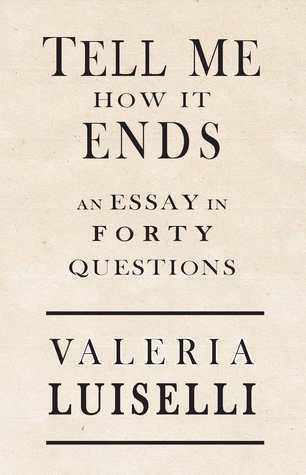 I stumbled upon Valeria Luiselli’s Tell Me How It Ends in my local bookshop recently and was intrigued by the title. Tell her how what ends? What forty questions were being asked? When I discovered that this book was an extended essay about Luiselli’s time translating the responses of immigrant children, I immediately knew that I would have to bring a copy home with me. I read the entire text the next night before bed, completely enthralled by her experiences working with these children. Anyone who pays any sort of attention to the news has likely gleaned that immigration has become not only a U.S.-Mexico issue, but a global matter. In this time of explosive, often polarizing politics, it’s refreshing to read a text about immigration that draws on more than solely party lines in order to convey its argument. Although Luiselli does get quite political at times, she does so when it is relevant and necessary to her narrative. A major strength of this text is that its structure reflects the nature of its subject matter. The immigration issue is both deeply personal and entrenched in formal legal problems. Part of what makes it such a controversial topic is that it’s extremely difficult to separate one aspect from the other. Likewise, Luiselli’s essay weaves her own personal experiences translating children’s stories with information about methods of crossing the border, the social, economic, and political problems of various countries from which these children immigrate, etc. 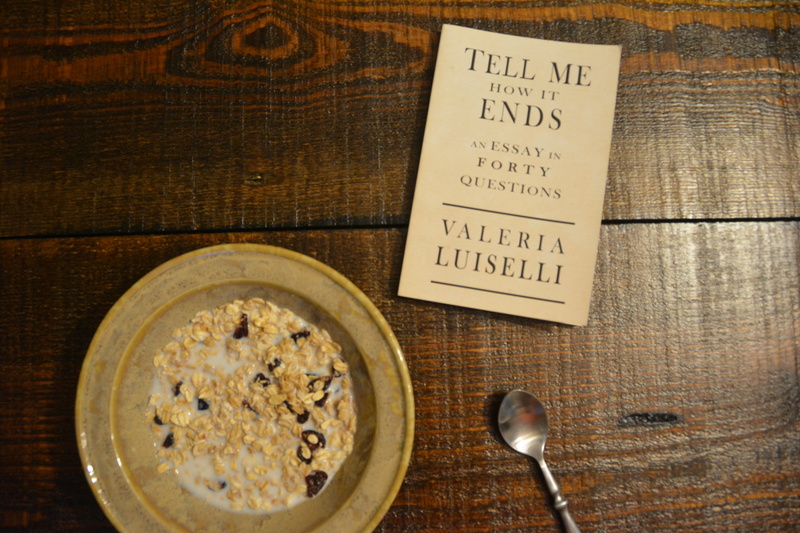 One page she’ll be recounting a story that still haunts her to this day, and the next she’ll be rattling off statistics and quotes and facts that further reinforce the need for books like Luiselli’s in the first place. This intertwining of personal experiences, emotional stories from children, and straight factual information makes Tell Me How It Ends a powerful, moving piece of writing that has the potential to open readers’ eyes about a side to the immigration issue that they may never have thought about before. Overall, Tell Me How It Ends lived up to all of my expectations. I would highly recommend this book to anyone wanting to learn more about immigration across the U.S.-Mexico border, particularly its impact on children. What are your thoughts on Tell Me How It Ends? Have any recommendations on similar books to read? Let me know in the comments section below! What a fantastic book to stumble across! This sounds like a fascinating, and, as you’ve said, necessary read.